Most people silently hope that South Africa will not go the way of Zimbabwe. It is probably less likely that it will. However, recent events in the Southern African country are enough to make one a little nervous. Earlier this week, police in South Africa used water cannons and stun grenades to quell supporters of the leader of the youth wing of the African National Congress, Julius Malema, who may face expulsion from the party in a power struggle with the country’s president, Jacob Zuma. Riot police closed streets near the ANC headquarters in central Johannesburg as vuvuzela-blowing Malema supporters tried to stop traffic. The burning of ANC flags, T-shirts and posters bearing the face of the president accompanied the violence. There has also been talk of possible land grabs and the seizure of mines for the benefit of ‘indigenous’ South Africans. With the escalation of the Libyan conflict, the political and economic stagnation in Zimbabwe, instability in Nigeria and similar disquiet in various regions of Africa, South Africa is one of the few remaining beacons of hope. Africa needs it to remain stable. 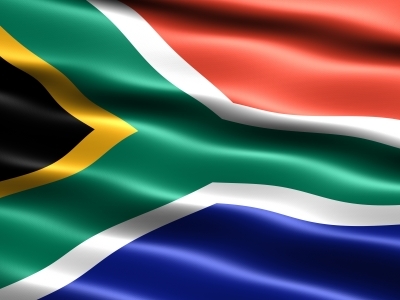 South Africa has the largest economy in Africa. The country is a member of the Group of 77 and chaired the organisation in 2006. It is also a member of the World Trade Organisation, the International Monetary Fund, the G20 and the G8 + 5. In April 2011, South Africa formally joined the Brazil-Russia-India-China (BRICS) grouping of countries, identified by President Zuma as the country’s largest trading partners, and also the largest trading partners with Africa. All five BRICS member countries are on the UN Security Council; Brazil, India and South Africa as non-permanent members. Zuma asserted that BRICS member countries would also work with each other through the UN, the Group of Twenty (G20) and the India, Brazil South Africa (IBSA) forum. In addition to being the largest economy, South Africa is also one of the most strategic countries in shaping foreign policy in Africa. It is one of the founding members of the African Union and has played a key role as a mediator in African conflicts over the last decade such as in Libya, Burundi, the Democratic Republic of the Congo, the Comoros and Zimbabwe. Jacob Zuma was one of the only leaders who openly criticised Muammar Gaddafi’s attack on civilians at the start of the Libyan conflict this year and voted in favour of a no-fly zone over the North African country intended to protect civilians. Although it has its own fair share of domestic problems, not least high unemployment, poverty, xenophobia and crime, South Africa remains an important power broker for Africa in a post-colonial world. Its demise would spell unmatched disaster for the entire region and fuel the Afro-pessimistic discourse. One hopes the recent riots and political instability will pass and go down as isolated incidents in the growth and development of this young but vibrant democracy. Setjhaba sa, South Afrika — South Afrika. ← Libya: Why are we blindly following NATO?